• In three children with central vein thromboses and a fourth with a pulmonary artery thrombosis, thrombolytic therapy failed to produce ultrasonographic evidence of clot lysis. Low-dose streptokinase (50 to 250 U/kg per hour) was infused directly into the clot in three children, followed by streptokinase and urokinase in systemic doses (streptokinase, 1000 to 1750 U/kg per hour; urokinase, 4400 to 5000 U/kg per hour). 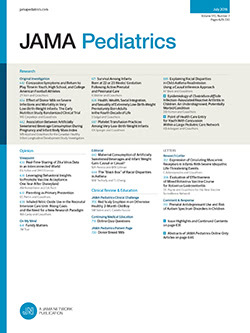 A fourth child treated sequentially with systemic doses of streptokinase, urokinase, and recombinant tissue-type plasminogen activator developed a significant retroperitoneal and intrapleural hemorrhage after 19 hours of recombinant tissue-type plasminogen activator infusion at a dose of 0.7 mg/kg per hour. All of the children survived. The most likely reason for treatment failure was that the clots (estimated to be between 2 and 3 weeks of age) were organized and thus resistant to lysis. Early diagnosis and prompt thrombolysis of significant lesions may contribute to the successful management of pediatric thrombosis. However, controlled studies are clearly needed to establish guidelines for the optimal use of thrombolytic agents in children.